I was invited by A-Gan Tea to attend ATG branch's 1st anniversary celebration. This branch is a bit hidden from outside. They share space with BreadTalk, which is easier to spot if you're just walking along the area. Aside from the tables outside, A-Gan Tea also has tables inside, where you can watch the open bakery do their work. 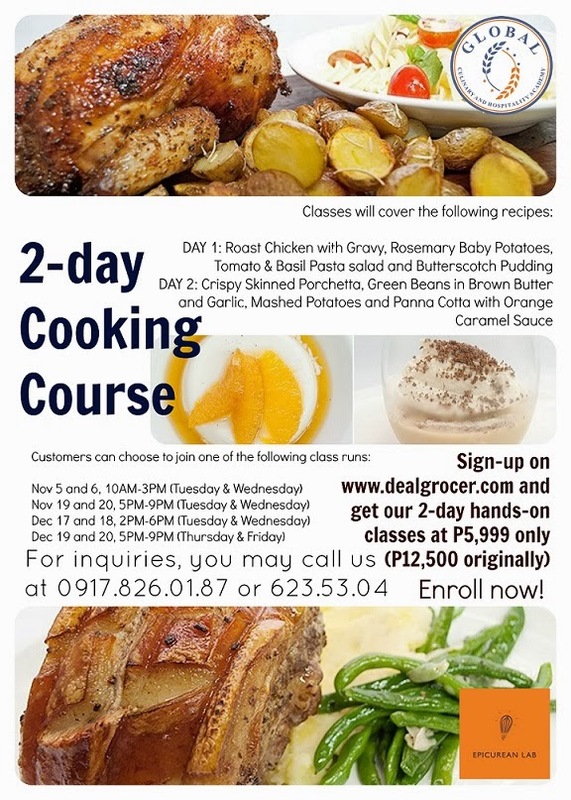 Learn how to make an extraordinary Christmas Feast in 2 days with Global Culinary and Hospital Academy! The second day of our temple tour at Siem Reap started really early. Our guide, Kim Rieng, fetched us at the hotel at exactly 5AM. Despite the lack of sleep, we were very excited as we are about to see the world famous temple, Angkor Wat, at sunrise. It was still dark when we arrived at the Angkor Wat Complex. Good thing Kim brought a pocket light to guide us. While waiting for the sunrise, he had us wait at the small tower at the eastern side. We transferred to the western side as the sun began to rise. Most of the tourists are staying the western side to take a photo of the iconic view of the Angkor Wat. In case you haven't brought breakfast, there are small eateries at the western side, along with other souvenir shops. For our case, we bought breads from Blue Pumpkin and Phsar Leu Bakery the day before so we can eat breakfast while on the road. We were led by Kim Rieng to the other side of the complex so we can start touring the entire temple. Even from the other side, it was indeed beautiful. Celebrate the Christmas season with friends and family with a Tango Box. Introducing the Christmas Fleet by Yellow Cab Pizza! The Christmas Fleet includes my favorite duo, the Galapeño Tango (6 pcs Garlic Parmesan Chicken + 1 order of Jalapeño Potato Wedges), with your choice of 1 Large Pizza, 2 choices of pasta and 1.5L of Coke. Along with the Galapeño Tango, our Christmas Fleet has a large Four Seasons Pizza, Chicken Alfredo Pasta, and Charlie Chan Chicken Pasta. For Php 1600, the Yellow Cab Christmas Fleet is good for 6 persons (or even more, in my opinion). Manang's Chicken is Coming to Davao and SM Fairview! Davaoeños will now have the chance to enjoy Manang’s signature soy garlic chicken and other delightful dishes as they are set to open their first branch outside Luzon. Manang’s Chicken will open their doors this November at the 4th Level of Gaisano Mall, Davao. Manang's Chicken will also open its third franchised branch in at the Lower Ground Floor, SM Fairview this November. Manang’s Chicken became an instant hit when they opened a stall at Mercato Centrale, a weekend market in Taguig way back December 2010. The positive response from market goers urged them to open their first stand-alone store in Ortigas in June 2011. 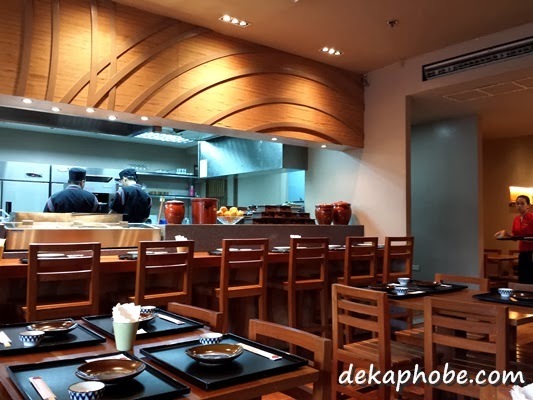 They opened twelve branches within Metro Manila and nearby provinces in less than three years and are continuously expanding to different provinces through franchising. This proves that Manang’s Chicken is, indeed, one of the fastest growing fried chicken restaurants in the country today. Manang’s Chicken takes pride in their signature double deep fried chicken glazed with Manang’s secret sauce. It has a unique flavor that appeals to the Filipino palate. A perfect combination of juicy, crunchy chicken and a special sweet- salty sauce makes it stand out from its competitors. They later on introduced other Filipino comfort food like Cheesy Spaghetti, Fried Pancit, Sesame Beef Stew and Garlic Pork. Looking for a snack? Try the Crispy Chicken Sandwich or Manang’s Chips and Dip. Finish off your meal with Manang’s original dessert, the Velvet Sundae. I have been an active member of Zomato since I signed up more than two months ago, and I'm loving it more and more. I use both the site and the app to post my reviews about the restaurants I have visited. 1. It's all about the QUALITY and not the QUANTITY. 2. Zomato is a mobile helper! Zomato app is so helpful for spur-of-the-moment dine outs. 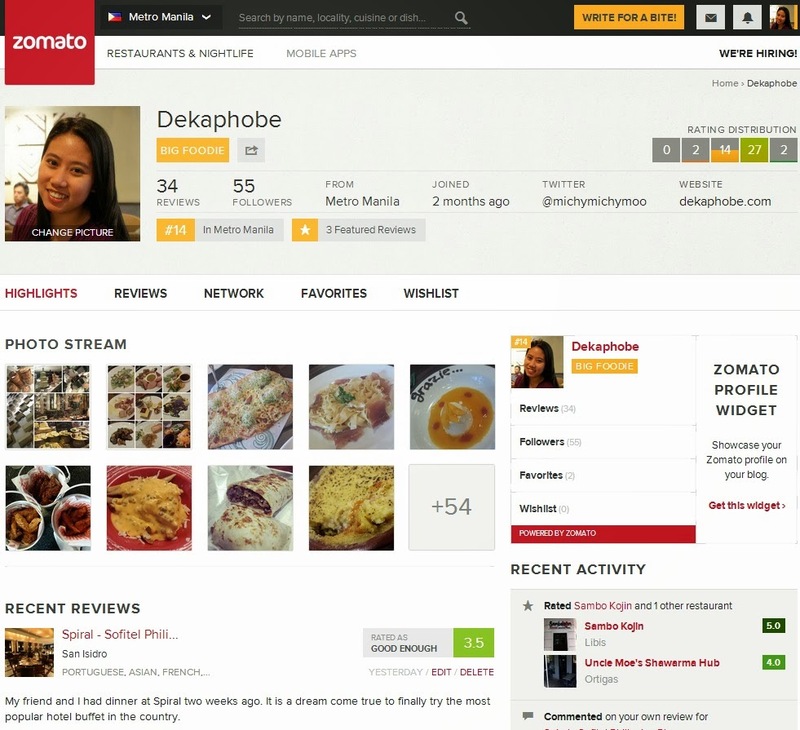 It even has an EXPLORE tab where it suggests restaurants in your current location. 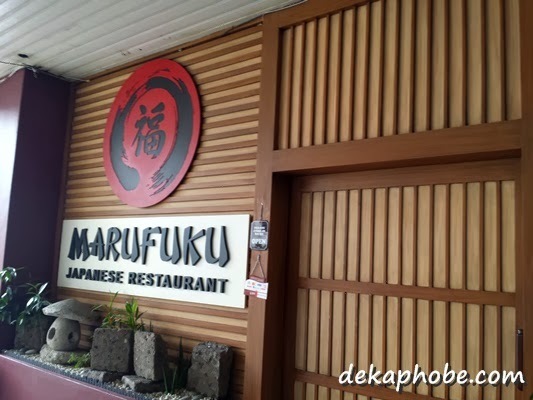 I dragged my retiring ramen warrior friend Dex to visit this hidden Japanese restaurant that I have been dying to try for these past few months, Marufuku. As a Japanase food aficionado, this place has been on my list since it opened more than a year ago. 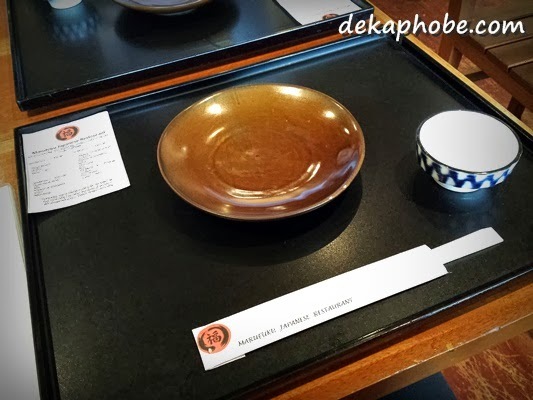 Each table is placed with a tray with a small paper with the lunch set menu, which ranges from Php 350 to Php 595. But adventurous people that we are, my friend and I decided to order ala carte. Here's a new baon idea for you and your family: Top Torikatsu by Bounty Fresh! 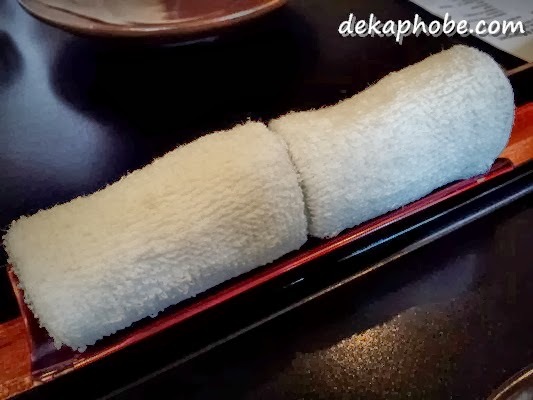 Top Torikatsu is made out of 100% chicken breasts coated in breadcrumbs. I was sent packages of these new product, which available in two flavors: Classic and Cheese & Chives. 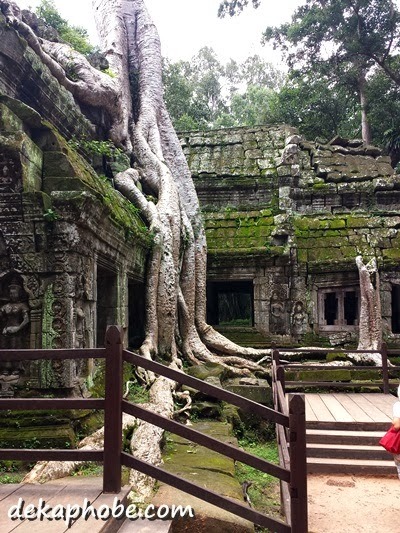 One of the most popular, and probably one of the most crowded temples is Ta Prohm or Jungle Temple. This place was used as location for the film "Tomb Raider", starred by Angelina Jolie. This temple was made more unique due to the huge trees that grew between the walls of the temple. Some parts of it was undergoing restoration when we visited, and it was way too crowded compared to the previous ones we visited. Before lunch, we were supposed to visit Takeo, but it was having a major reconstruction (and we were already hungry), so we just asked Kim Rieng to take us to a restaurant nearby for lunch. For lunch, we went to Ta Prohm Khmer Food, which is near Ta Prohm. Unlike most restaurants in the Siem Reap proper, this resto doesn't have wifi, but the place has clean restrooms for the tourists. Tous Les Jours Philippines opened its 12th store last week at the newly-opened SM Jazz Mall. Tous Les Jours is a bakery-cafe established in 1996 in South Korea, and has branches worldwide, including the United States. I had first tried Tous Les Jours when a good friend bought me their Sweet Black Rice Bread with Black Sesame Cream Cheese, and I easily fell in love with it. I had a fun quick vacation last month in Siem Reap with a dear friend. Aside from this little hitch (our flight to Siem Reap was moved a day late), everything went smoothly as planned. 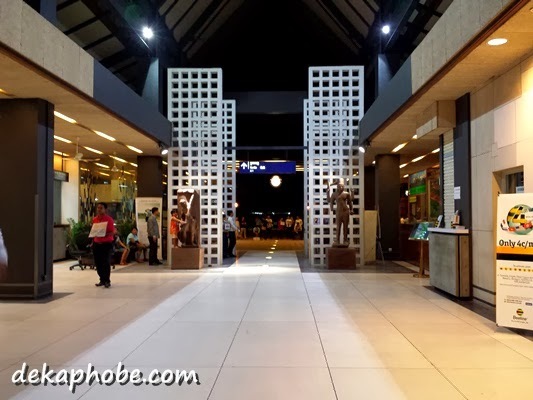 Siem Reap is located in Cambodia, an hour late from Manila time. As of the moment, Cebu Pacific is the only airline that flies directly from Manila to Siem Reap. Though it is not the capital of Cambodia, Siem Reap is the main destination of travelers visiting Cambodia. 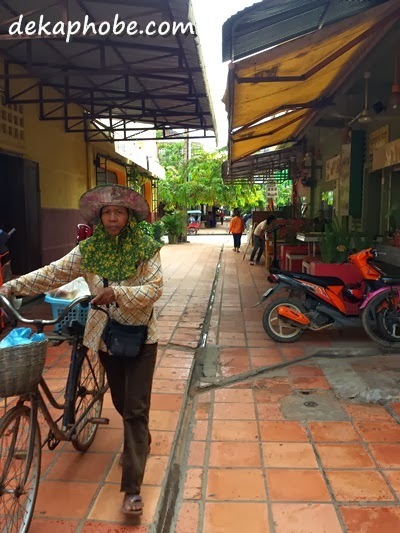 The official currency is Cambodian Riel, but all exchanges in Siem Reap are in US Dollars. However, they'll still give you some Riels for change. 4000 Cambodian Riel = 1 US Dollar. Siem Reap International Airport looked quite simple as we landed, but we were surprised that it was actually very modern. 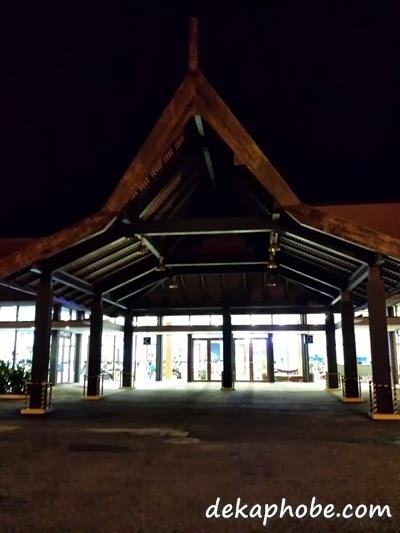 Our hotel had a free pickup (as most accommodations, actually), and our tuktuk driver was already waiting for us in the arrival area. It was 9:30pm (Cambodia time) when we arrived and our tuktuk ride to the hotel to us around 30 minutes. Our hotel was the newly-opened Purple Mangosteen Hotel, located at the Pub Alley, near the Pub Street, the most popular area for night life and dining at Siem Reap. Since we weren't hungry, we had a 30-minute foot massage at the nearby spa for 3 USD (Php 135). We also bought some bottled water and other necessities at the convenient store a few steps from our hotel. For the temple tour, we booked a licensed tour guide, Kim Rieng. I first have read about Kim Rieng at Chyng Reyes' blog. Opened a year ago at the City Golf Complex, Frankie's New York Buffalo Wings is one of the newest spots in the area that serves huge chicken wings and other comfort food. It is an ideal place for relaxation with good food. Our project team decided to have lunch at Le Ching, one place that some of my workmates frequent for comfort food. 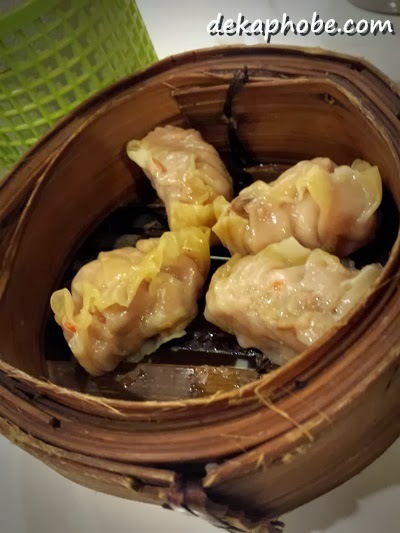 Though I regularly visit the Greenhills area, I haven't tried Le Ching before but I was always curious about this popular Chinese diner. Le Ching has two spaces in Shoppesville, the second one called Le Ching Too. Le Ching Too was less crowded when we arrived. It was only a few months ago when Chef Davide Lombardi blew me away with his authentic Italian dishes at Lombardi's. He takes Italian food to the next level with Lucia Ristorante at Hotel Celeste. Hotel Celeste is four-storey boutique hotel strategically located in the heart of Makati. Cely and Tricia Sarabia, the hotel owners, invited Chef Davide to run a posh restaurant for an equally-elegant hotel. 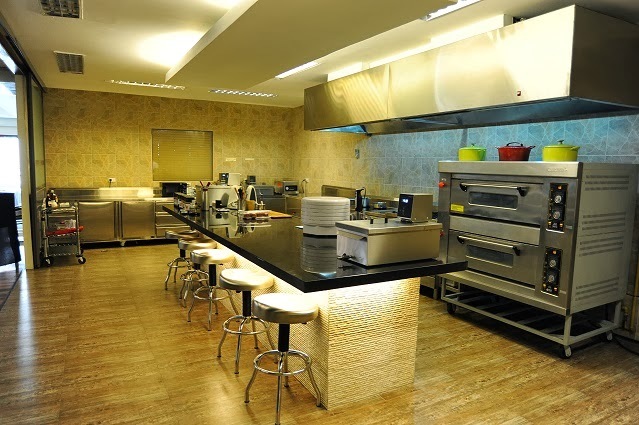 Named after Chef Davide's mother, Lucia Ristorante exudes elegance in the interiors, and the food. 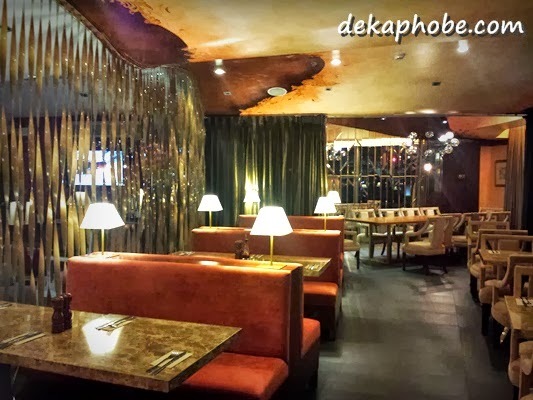 The place looks cozy and is perfect for romantic dinners, family gatherings or even executive meetings. Here's the continuation of the Part 1, which was devoted to appetizers and main dishes. Here are the desserts and other sweet treats that impressed my taste buds at the UTT. I'm still smacking my head for not having to try this when I visited Davao last year. I'm so happy they're finally here! Jack Frost is a local brand that sells unique flavors like Basil, Almond Spice, Nuts and Roses and many more. I had their Culture Comfort, which reminds me of Sebastian's Yakult Ice Cream.